Dispensing Blaine Labs products is risk-free for you and your patients thanks to our 100% Patient-Direct, Money-Back Guarantee. 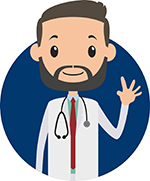 This means if your patient is seeing no change or improvements with their pathology from our product or is dissatisfied with our product in any way, they can simply call us and we will refund them their entire purchase price or provide them with another product for free. Blaine Labs provides this service to our clients and their patients because we understand the importance and value of having a good experience with your doctor as well as reaching a solution to their pathology problem. If you have any questions about our 100% Patient-Direct, Money-Back Guarantee policy or how you can get started dispensing Blaine Labs products risk-free today, please give us a call at (800) 307-8818 or contact us at contact@blainelabs.com.